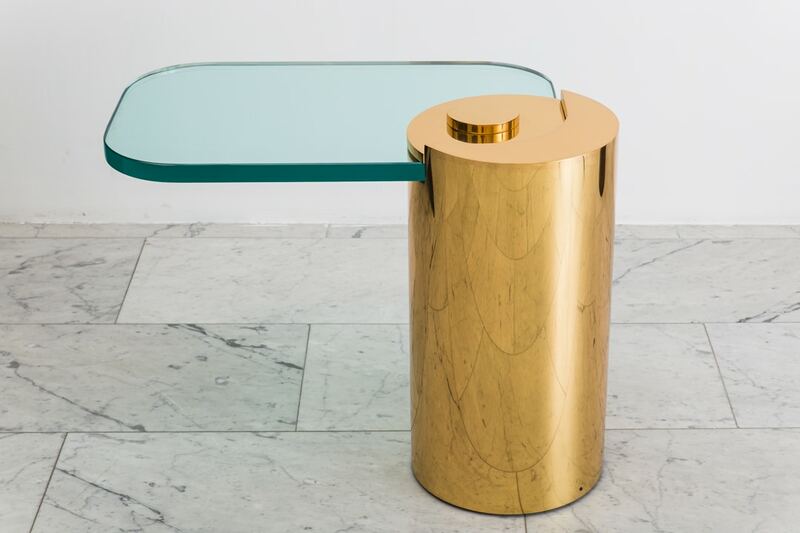 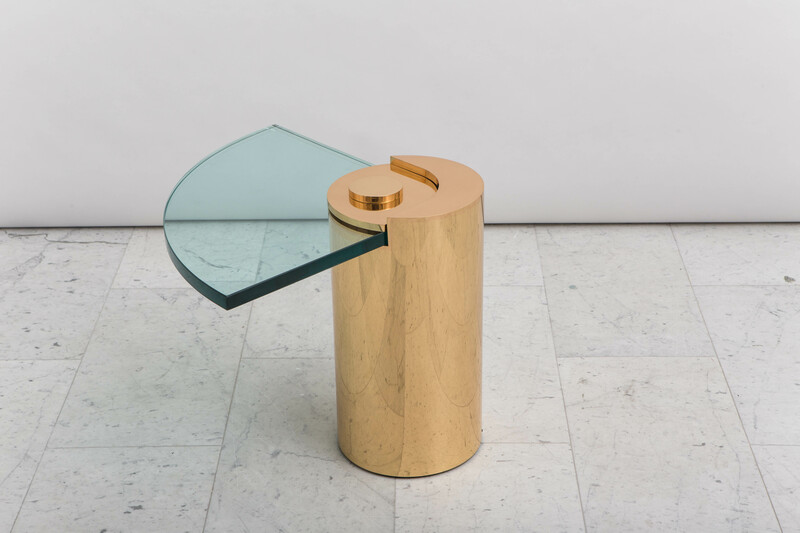 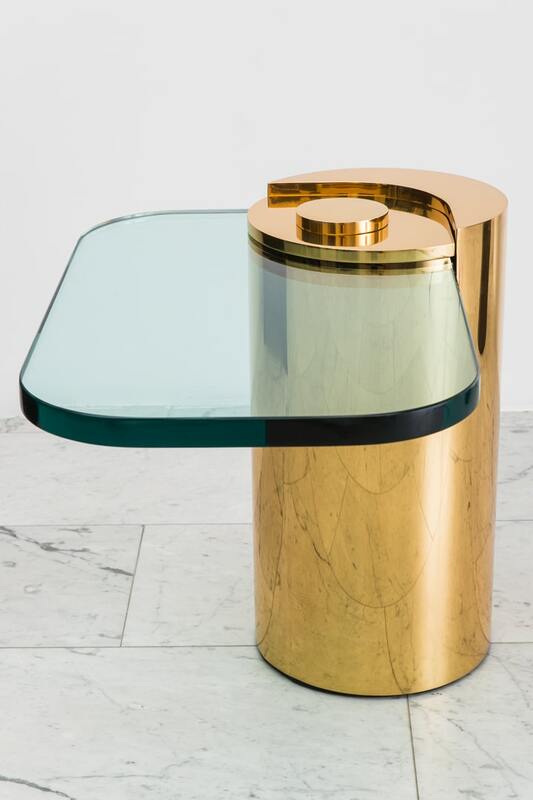 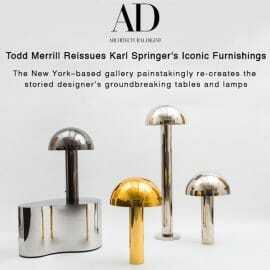 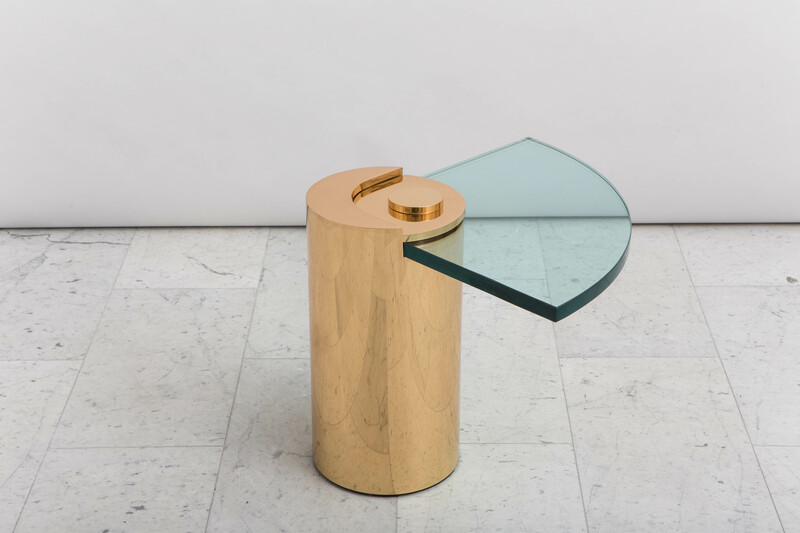 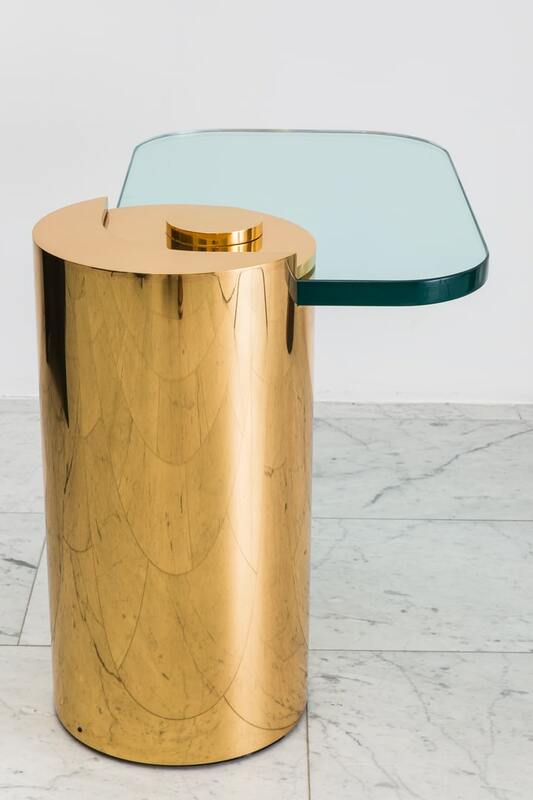 An iconic design by Karl Springer, the unique Sculpture Leg Table debuted in 1971 and is being reissued exclusively with Todd Merrill Studio. 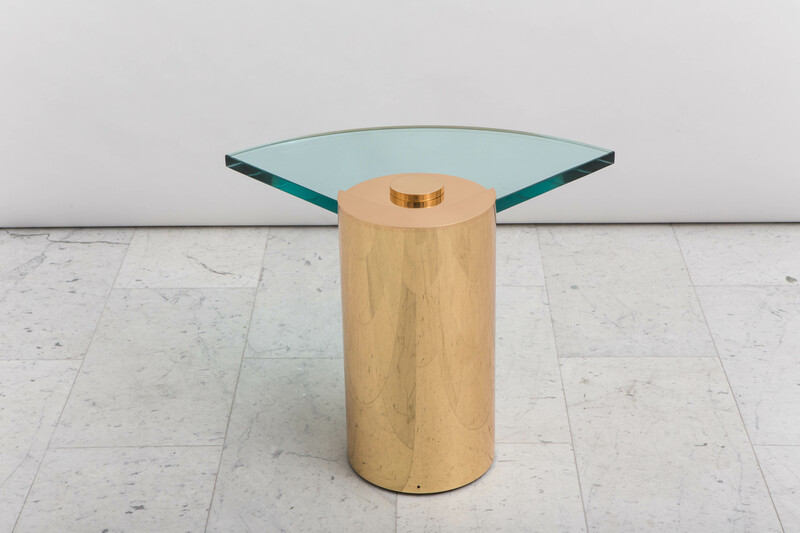 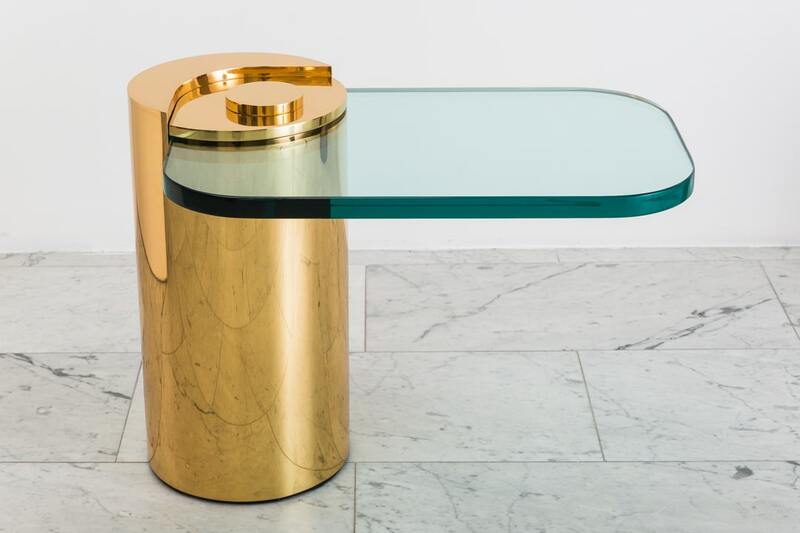 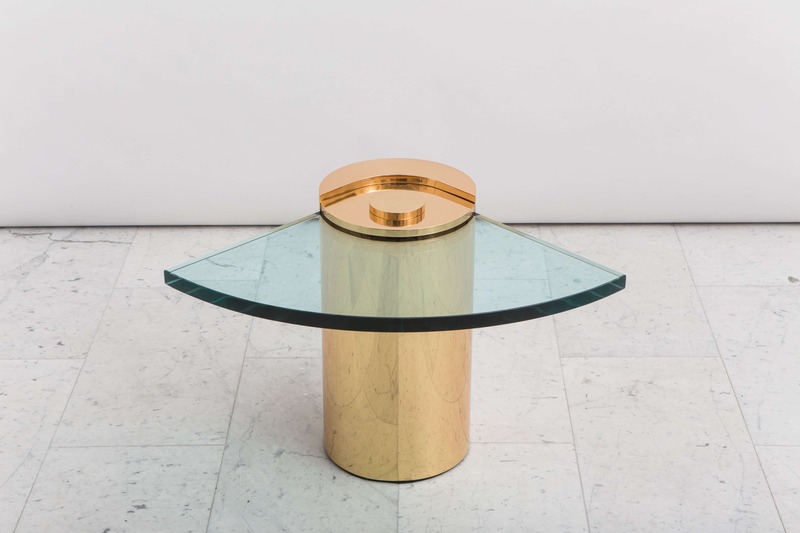 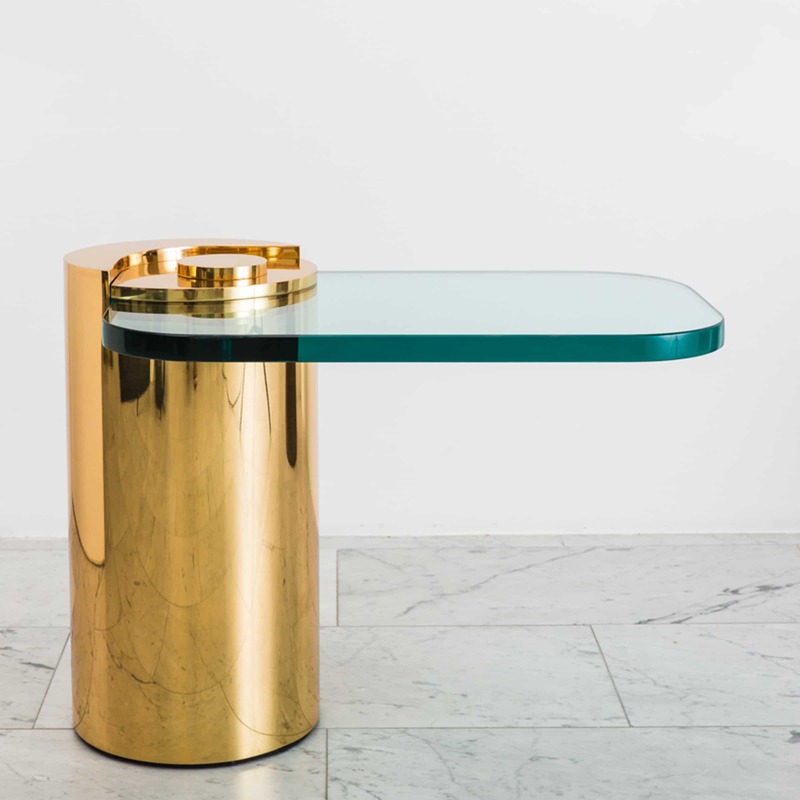 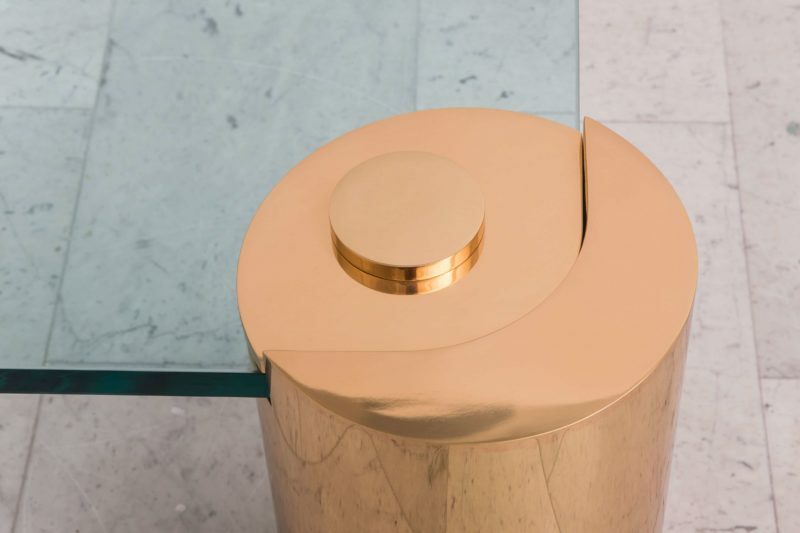 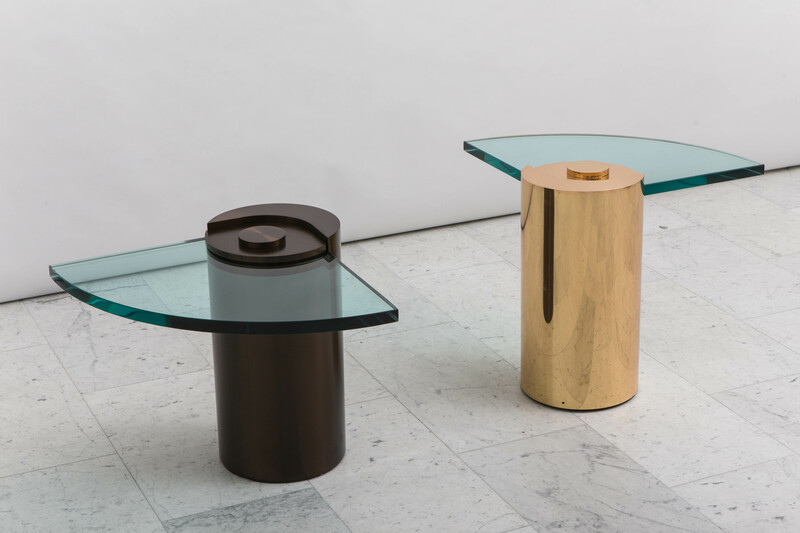 Featuring a heavy cylindrical base in bronze and an elegant, fan-shaped or Cavaliered glass top, the table offers a striking equilibrium between weightiness and weightlessness. 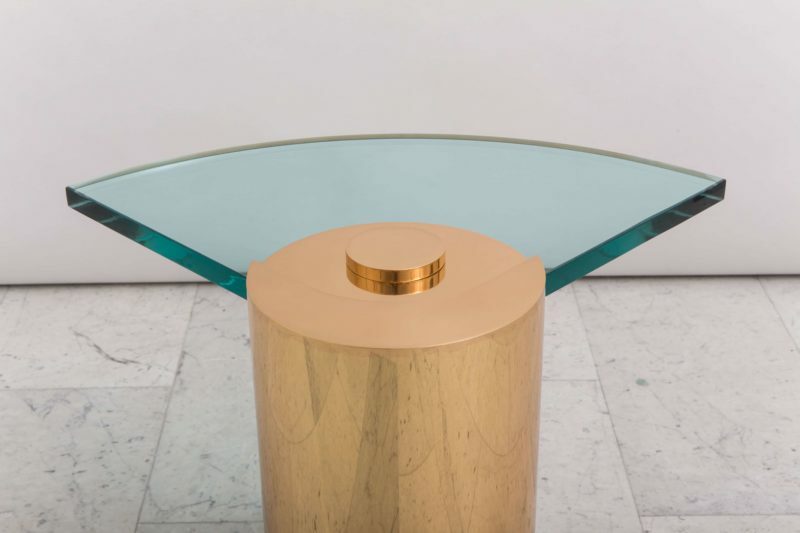 Throughout the 1960s and 1970s, Karl Springer (1931-1991) created custom designs with superb craftsmanship and extreme attention to detail. Though he based his designs on European classical forms, Springer developed an irreverent and non-doctrinaire idiom of bold proportions and highly exotic finishes that is evidenced in this exquisite dining table reissued through the partnership of Karl Springer LTD and Todd Merrill Studio. 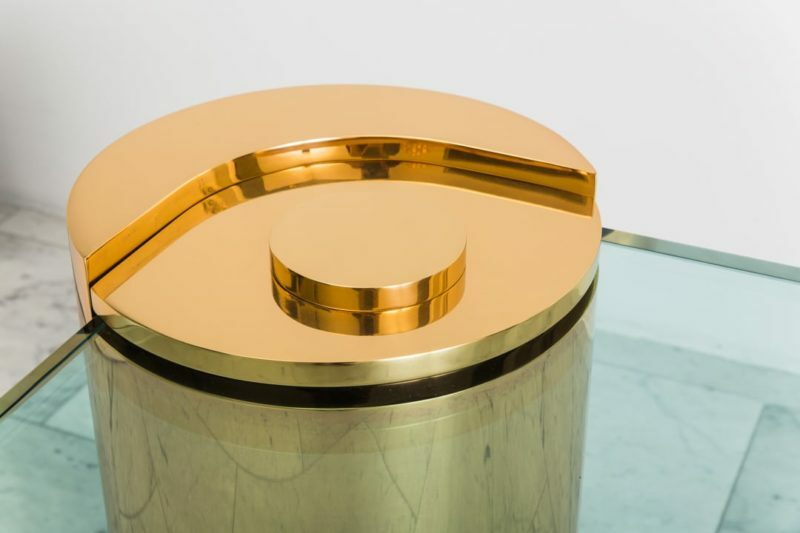 His iconic work speaks with the confidence and energy of the 1970s and now finds new relevance in the world of contemporary design.